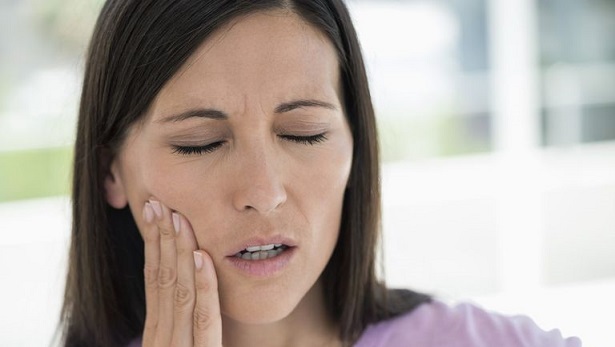 More than just annoying, a toothache affects your whole mind and body. Because the nerves are connected to so many other areas of the body, you can experience the pain in your head, ear or even throat, depending on where your toothache is. This problem is a sign that there is something wrong – a cavity, a loose filling, an infection, gum disease or any number of oral issues. To relieve the pain while waiting for an appointment with your dentist, you can try out a number of home remedies. You might have what you need to ease the pain right in your kitchen or bathroom cabinet. Here is a look at 10 of the best home remedies to help you get relief from your toothache. Full of healing properties, peppermint has been used for centuries as a herbal medicine to treat a variety of illnesses and problems. 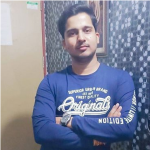 When you have a throbbing toothache, the cooling effect of the herb soothes and eases the pain, and also reduces any swelling that might be there. You can use peppermint tea topically for this – more specifically, the tea bags. And while waiting for the tea bags to cool, you can sip on the peppermint tea to create a soothing effect on your entire body. 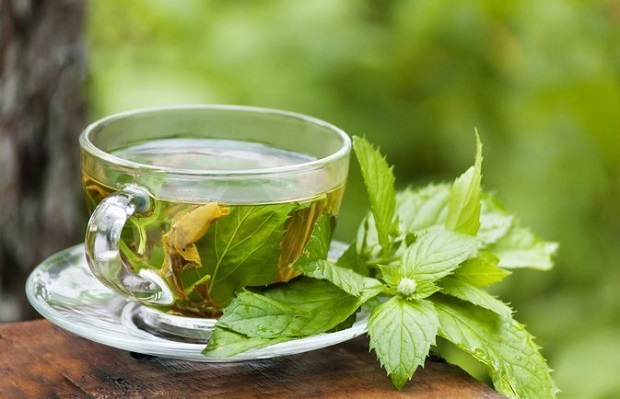 • Prepare 1 cup of tea with peppermint tea bags. • Remove the bags and allow them to cool. • Once cool, apply the peppermint tea bags directly on the affected area. • Leave on until the herb works its magic and the pain is gone. • You can also use fresh peppermint leaves for this remedy. When it comes to natural remedies, garlic is perhaps one of the most popular ingredients due to its powerful natural medicinal properties. When it comes to toothaches, this remedy is best for those caused by cavities or bacteria. Garlic contains allicin which is a potent antibacterial agent that attacks the bacteria in your mouth and does away with the cause of your toothache. 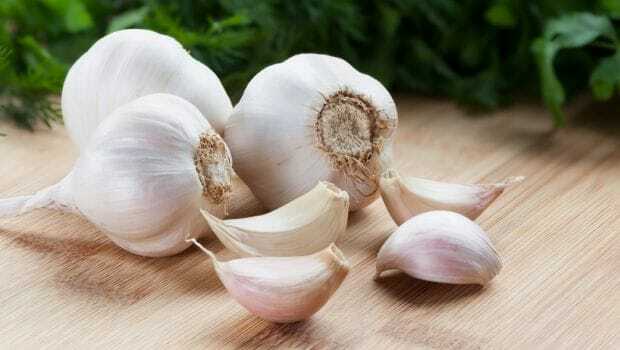 • Chew on a clove of garlic to release the allicin and destroy the bacteria causing the pain. • Repeat this throughout the day. • You can also rinse your mouth with garlic water – boil a few cloves of garlic to make this solution. • You can follow this up with a cup of peppermint tea or chew on fresh peppermint leaves, for extra help with the toothache, as well as garlic breath! Although adding something hot and spicy to your already-sore mouth might seem counterproductive, you will find that it works wonders once you try it. Cayenne pepper contains capsaicin which has anti-inflammatory and antibacterial properties. 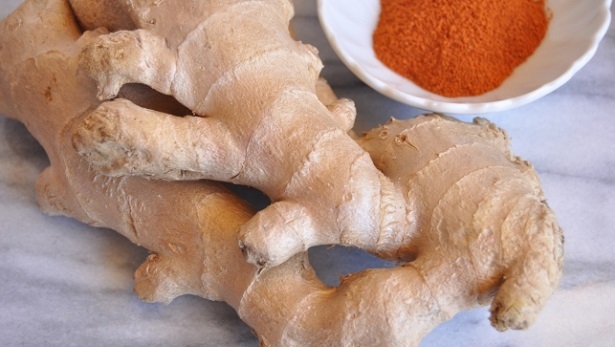 Ginger too is known for its antibacterial and other medicinal properties. When combined, these two ingredients make an extremely effective natural remedy to relieve tooth pain and reduce swelling. • Mix 1/2 teaspoon of cayenne pepper and 1 teaspoon of crushed fresh ginger with a bit of water to form a paste. • Apply it directly on the specific tooth that is affected. Avoid applying it on your gums as the pepper will cause it to burn. • Leave the bacteria-fighting paste on your tooth for as long as you can tolerate it. • Repeat throughout the day. 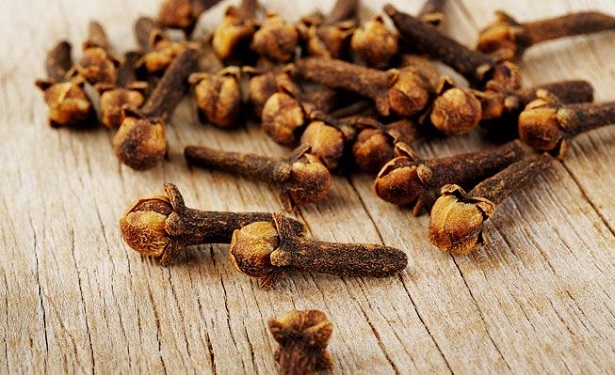 Throughout history, clove has been used as a natural treatment for toothaches. This is because the oil has the ability to numb the pain effectively and also reduce inflammation. Clove contains a natural anesthetic called eugenol that numbs the nerves. Apart from antibacterial and anti-inflammatory properties, it has anesthetic and antioxidant properties – all of which help in relieving tooth pain and fighting infection. Clove is effective for all type of dental pain, including sore gums, mouth ulcers and cavities, which is why it is commonly used in dental products. • Apply a small amount of clove oil on the affected tooth with a cotton ball. • If it burns too much, you can dilute it with water or olive oil. • Repeat this a few times a day. • You can also make a mouthwash by adding 1 drop of clove oil to a small glass of water and rinse your mouth. 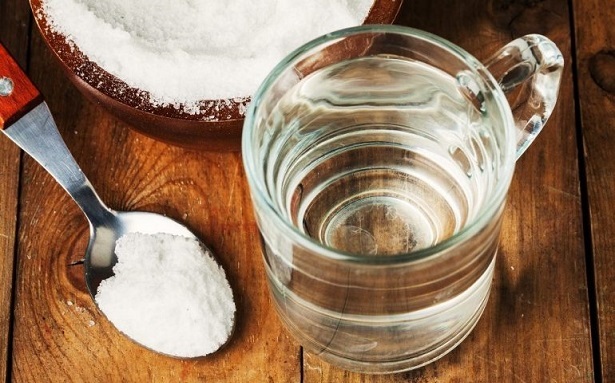 For many people, a saltwater rinse works effectively in treating toothaches. It is a natural disinfectant and can help in loosening food particles and other debris that may be stuck between the teeth. One of the best things about salt water as a treatment for toothaches is that it can help in reducing inflammation as well as healing any oral wounds that you might have. • Mix 1/2 a teaspoon of salt into 1 glass of warm water. • Stir well until the salt is completely dissolved. • Use this as a mouthwash. 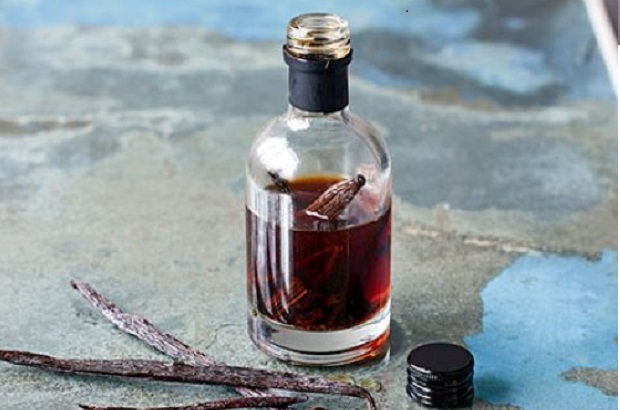 With its proven antioxidant properties, vanilla extract is an extremely effective healer. It contains alcohol, which can help in numbing the pain of a toothache. It is a great home remedy for toothaches due to this. An added benefit is that vanilla extract’s scent has a relaxing effect on many people. The more you relax, the more happy hormones your body releases, which include natural painkillers. • Rub the vanilla extract directly on the affected area with your finger. Make sure that your hands are clean. • You can also put a few drops of the extract on a cotton ball and place it on the painful area. • Repeat a few times throughout the day. Another great home remedy that could help in relieving pain and inflammation that comes with a toothache is a hydrogen peroxide rinse. It is effective as it kills bacteria, reduces plaque as well as heals bleeding gums. When using this remedy, you should be careful not to swallow the solution. • Mix 3% hydrogen peroxide and water in equal amounts. • Use it as a mouthwash. 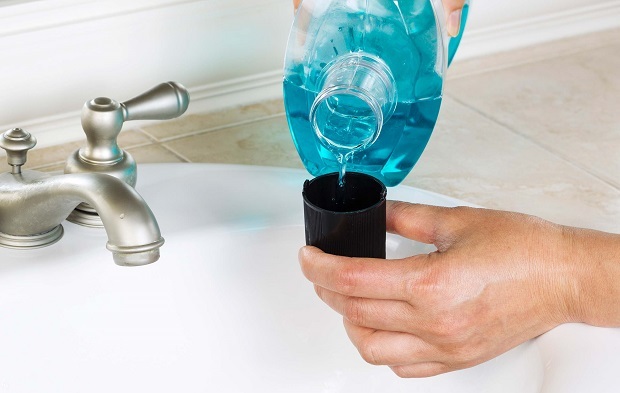 • You can use it after brushing your teeth in the morning and at night, and after each meal. As you know, peppermint tea is great for reducing pain when you have a toothache. Hot black tea works just as well. However, with this remedy, you use the actual tea rather than the tea bags. 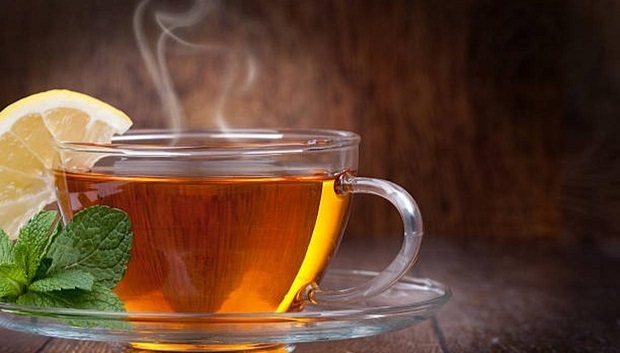 Black tea has astringent properties that can help in reducing inflammation and swelling. It is effective for pain caused by wisdom teeth cutting through and gum disease. • Prepare 1 cup of strong black tea. • Sip on it slowly and allow the heat to soothe pain the pain. Alcohol is a superb remedy for toothaches as it helps numb the pain. Although there is no scientific evidence to show that it works for this issue, many people swear by it. Ingesting it does not help directly in relieving the pain of a toothache, but you can apply it topically to numb the affected area and ease the pain. 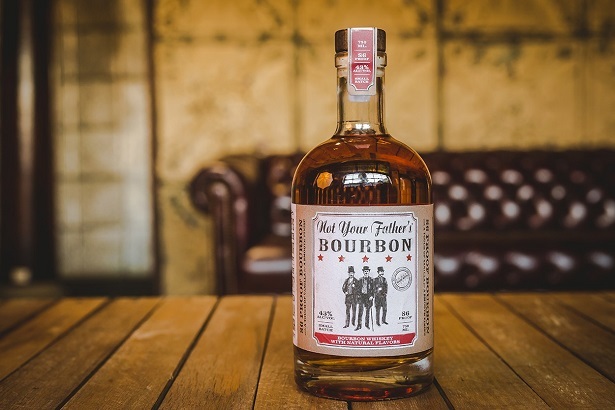 • Soak a cotton ball in bourbon or whiskey. • After squeezing out the excess alcohol, place the cotton ball next to the affected tooth. • Leave it on for 10 to 15 minutes. • You can also swab the cotton ball around the sore tooth and on your gums. Known for its soothing and hemostatic effects, cucumber is a popular home remedy for dark circles under the eyes. As a remedy for toothaches, its hemostatic effects help in reducing the flow of blood to the affected tooth. This in turn soothes and lessens the pain. This is a simple yet effective remedy you should try out the next time you have a toothache. • Slice a fresh piece of cucumber. Make sure that it is room temperature if you are sensitive to cold as it could make your pain worse. • Hold the slice over the affected area. • You can also mash up a piece of cucumber and add some sea salt to it. • Pack the mashed mixture around the affected tooth. • Use the remedy as and when you need to. As you can see, there are many simple home remedies that you can use to treat toothaches. You will have to try out several of them until you find one that works that most effectively for you. Remember that these natural remedies are not permanent treatments and that you should visit a dentist to get to the root of the problem and cure the pain.